One of the biggest surprises from this year’s E3 was the existence of a new Battletoads game. Microsoft made the announcement during its press conference, and while it didn’t include any gameplay footage, the self-aware teaser did promise “broad, non-specific feature declarations,” in addition to “body morphing genre mashups,” whatever that is. 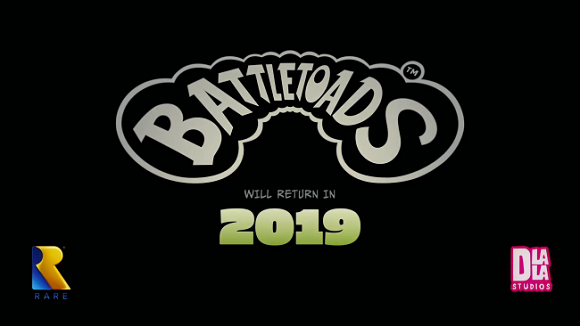 Battletoads is being developed by Rare, the studio responsible for the 1991 original, as well as Dlala Studios, and will include three-player local co-op gameplay. Since the reveal, there hasn’t been much in the way of news regarding Battletoads, but a tweet from late last week offers a hint at the game’s progress. “Still looking for a couple programmers to join the Battletoads team,” said AJ Grand-Scrutton, CEO of Dlala Studios. Granted, this isn’t anything monumental, but it does tell us that the team may be looking to ramp up development ahead of the 2019 launch. The actual content of the game remains a mystery; Microsoft has been quiet about whether Battletoads is a reboot, a remake, or a sequel, but given the absence of the franchise maybe we should just be grateful we’re getting more of Zitz, Rash, and Pimple. It’s not been officially confirmed that Battletoads will be coming to PC, but Microsoft has been insistent that Xbox One exclusives should also appear on Windows platforms so we feel pretty comfortable assuming this will be no different.